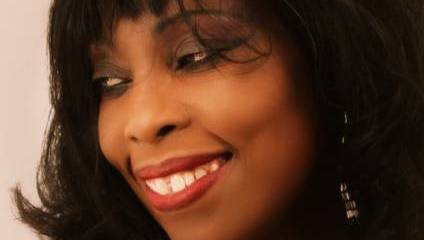 London Calling spoke to Jamaican born jazz legend, Ruby Turner, to hear about her performing at Ronnie Scott’s Jazz Club, her latest album and being inspired on the M4. London Calling: Are you excited to be playing at legendary jazz venue, Ronnie Scott’s again? Ruby Turner: It’s lovely to be back and doing three nights there, and I’m really looking forward to it. So long as I try and keep the voice in shape – that’s the main thing. Voice in shape and I’m all dressed! You don’t need to know anymore kid. LC: Your 17th studio album, All That I Am, released last year received critical acclaim. Were you happy with the response after five years in the making? RT: It was so very well received – it was amazing! It was incredible. I was really quite chuffed because it had taken me nearly five years to get that job done because I’m always working – but I’m not complaining. It’s all about timing and working to some kind of order you can make things work. I don’t like chaos – if I can make it orderly it will be all right! LC: Where did you get the inspiration for the album? RT: We write from experience, write from life and I’m always writing! What is really lovely for me in the developing stages of an album is that creative thing when you don’t know what’s going to come. It’s great – I really do relish that – I don’t know how other artists would express that but for me it’s a moment where you can’t even sleep! It’s outrageous, it’s fantastic, it’s mad! I remember trying to get the melody for one song and it came on the M4 – going 70mph and that’s it! Fortunately with these smart phones you can switch the recording on. LC: Can you tell me a bit more about the developing process? RT: The writing process has all been great – I really enjoyed that. Then we go into the studio with the guys and that making – people describe like baking something fabulous and you do not know what the outcome will be! And I’m self funding and you don’t know anything. It’s just going and it’s great. It’s called living I think! It’s the taking part – I’m no bystander here. LC: What would be your career highlights? RT: Oh please. I have to say I am so grateful – my life is a highlight! Let's look at how awful things are right now in the state of the world – if you step back out of your little cocoon and go wow, we’re doing all right aren’t we? So when I stand back and look at all the wonderful things I’ve done in my career – wow. Ah goodness me, great, I’m so grateful I really am. LC: Being a regular with the Jools Holland Rhythm and Blues Orchestra – must provide inspiration for your music. RT: He’s such a wonderful man – it’s a really lovely relationship we have. I’m so grateful because it could have easily been so much harder. Who’s to say that probably with the years of work I’ve probably made it so! LC: How has touring with Jools Holland helped develop your new album? RT: Side by side it works. I’ve always been releasing albums – this is not the first album I’ve ever released – it’s my million trillionth album! I’m a working musician and always have been – if I’m not working with Jools I’m on the road with my own unit. So obviously people hear you and when I work with Jools it’s almost coming to a new audience in a way. It’s got to help! So why stop it? Why stop the music as they say! LC: Did it help that both of you were working on new albums simultaneously? RT: It all sort of feeds itself in a really positive way. Jool’s album, my album, we’re just creative people doing what we do. I don’t regret it because one should never live in regret, but I so desperately wanted him on the album, but time would not allow because of his work schedule. LC: What does 2015 hold for Ruby Turner? RT: Trying to be as healthy as I can and get on with my work – more of the same. Touring look it out of me last year, it really did. I had an injury and couldn’t come off the road because you’re committed to the shows, so I got through the tour and now I’m having to deal with the injuries. I’ll pace it this time! I’ll get fitter – taking care of my body! Get back into my swimming again and be blitzing them greens! With a hectic 2015 ahead of her London Calling wish a swift recovery to Ruby after her torn cartilage operation. You can book tickets for her Ronnie Scott’s Jazz Club shows here.